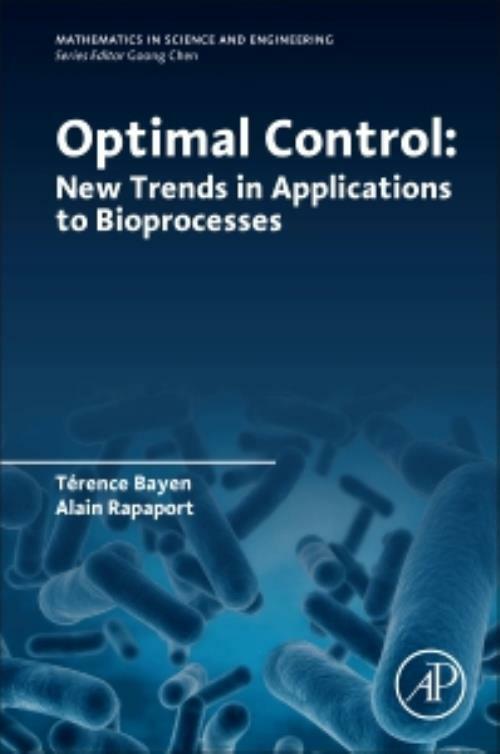 Optimal Control: New Trends in Applications to Bioprocesses aims to bridge the gap between mathematical optimization methods to solve problems in dynamical systems and bioprocess modeling which involves various techniques to build mathematical models for applications in the bio-production of chemical and pharmaceutical products, covering different length and time scales, from single cells, to cell population, to bioreactors. The two fields are natural partners, however there is a disconnect and literature gap between the mathematical theory of optimal control and the optimization of systems arising in the field of bioprocesses engineering. Térence Bayen (Assistant Professor, University of Montpellier) obtained his Ph.D. degree in Shape Optimization in 2007 from University of Paris. He is now Assistant Professor at University of Montpellier. From 2010 to 2011, he has been a lecturer at the Center for Mathematical Modeling, University of Chile. His research interests include optimal control theory, modelling and bioprocesses, and shape optimization. Alain Rapaport (Senior Research Scientist, INREA, Montpellier) obtained his Ph.D. degree in mathematics in 1994 from Ecole des Mines de Paris. He is Senior Research Scientist at INRA in Montpellier in the lab MISTEA (Mathematics, Informatics and STatistics for Environment and Agronomy). His research interests include dynamical systems, differential equations, control and observation of systems, and modelling and simulation for microbial ecology.